Kusatsu Onsen | The onsen of Japan! In Japan, there are many people who like to travel to or go sightseeing in hot spring resorts (Onsen). Among them, the most famous one is the Kusatsu Onsen. It is located in Kusatsu-machi, Agatsuma District, Gunma, and it holds excellent hot springs ranked the top of Onsen ranking list in the Edo period! The middle of Kusatsu Onsen area is an Onsen Street with old-fashioned scenery like Yubatake (hot spring fields where mineral deposits are collected or where hot springs’ temperature is adjusted). And around that, there are facilities related to Onsen like resort hotels, pensions, Ohtakinoyu, Sainokawara Park, therme therme at hotel village, Onsen center, etc., plus other facilities like Kusatsu Ongakunomori International Concert Hall, Kusatsu Nettaiken, and so on are located. Also there is KUSATSU SNOW ＆ SPA RESORT fascing the Kusatsushiranesan. On the edge of town, there are a lot of tombs for nameless deceased who have died on the way of curing their disease by hot springs, and some oldest ones were built in the Meiji period. 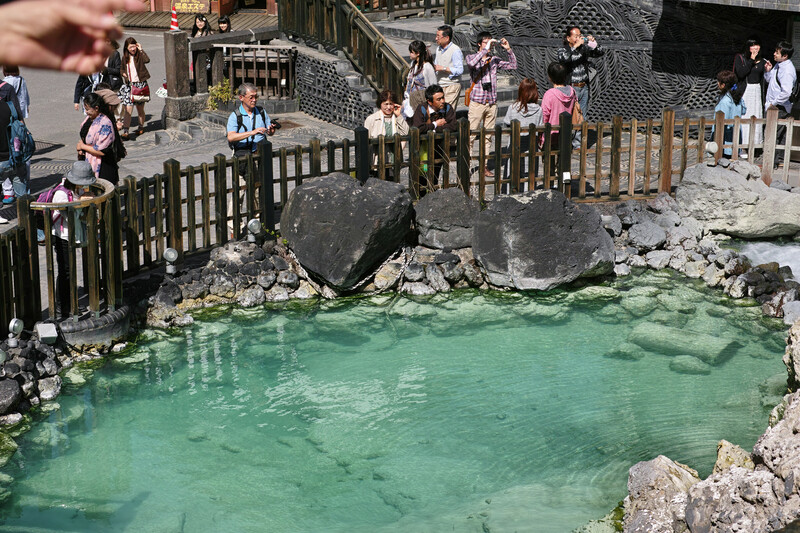 The history of Kusatsu Onsen dates back to the prehistory. The oldest historical documents of Kusatsu Onsen refer to Minamoto No Yoritomo bathed there in the Kamakura Period. Since then, being proud of its effect, it has been counted among one of Japanese three excellent hot spring resorts(Kusatsu, Arima, and Gero). In the Edo Period, it prospered and a lot of people from ordinary ones to cultural figures and Samurai visited there. 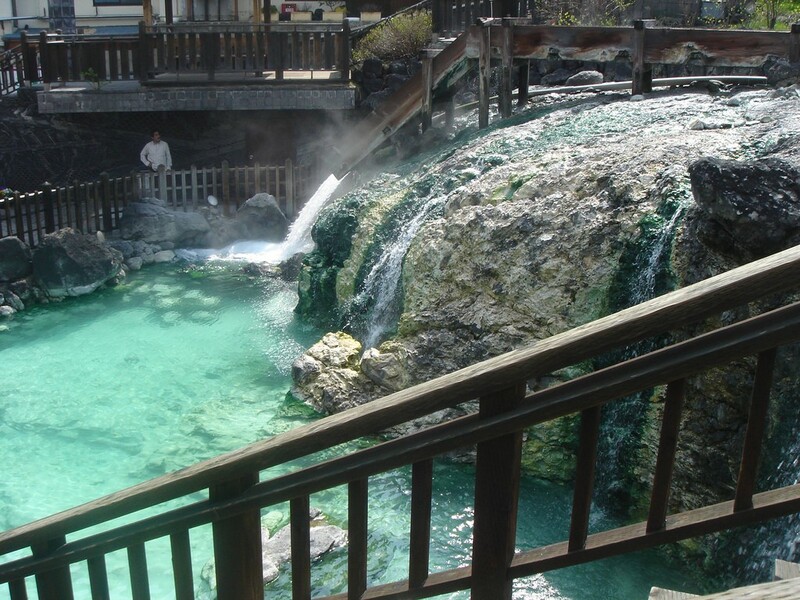 Kusatsu Onsen is said to be good for neuralgia, arthralgia, skin disease, diabetes, hypertension, arteriosclerosis, and chronic digestive disease. And in the beginning of Meiji Period, “Jikanyu”, which is the Kusatsu Onsen’s special way of bathing, was completed and German Dr. Baeltz who visited Kusatsu to study medical hydrology introduced it and its effects to the world. An Onsen resort filled with Showa taste! Like a luxury inn! With good amenities.